Fits Ford Transit with dual rear wheels - 16" 6 lugs, 12 vent hole steel wheels 2014-current. Set of (4) - 2 front covers for steer axle and two rear covers for dual drive axle. State of the Art Over The Lug Mounting attaches securely to the wheels without lug nut removal. The set includes the mounting hardware, installation tool, and shipping within the contiguous 48 USA states. Please be informed that we will no longer process orders for shipment outside of the contiguous 48 US states, sorry. 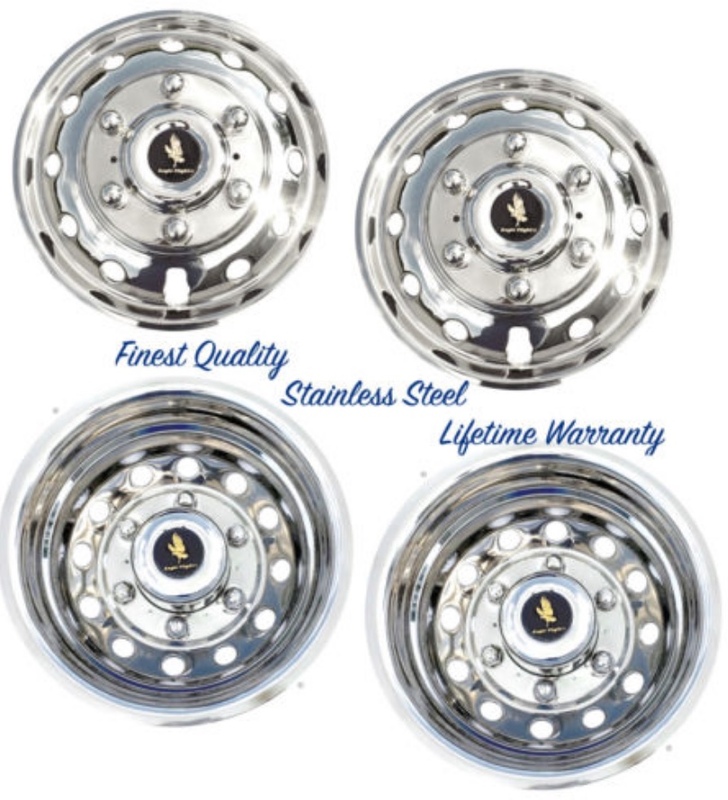 Our wheel covers are manufactured from bright polished stainless steel and backed by our lifetime warranty. We do not use anything but the best quality stainless to avoid the cracking and yellow tint discoloration that is common to lower quality generic unbranded knock-off covers. 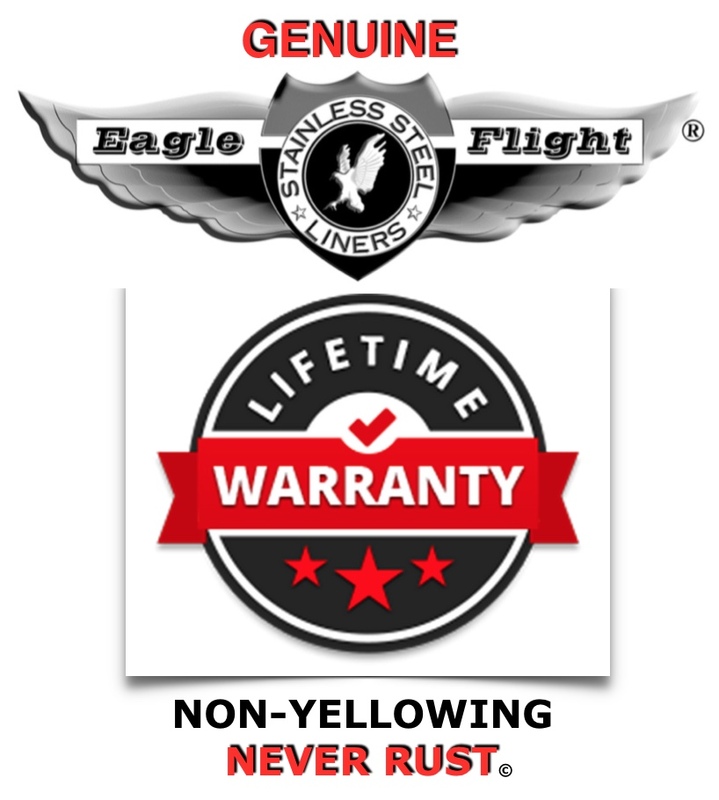 Our products will NEVER RUST in any climate and rival chrome in appearance. In the event of damage or an accident, we also make available single covers or hardware to our customers, so you can fix what is required, rather than be forced into buying a whole new set.